Being a landlord is a lot of work, but it also offers some of the most readily available rental property tax deductions compared to any other investment opportunity. 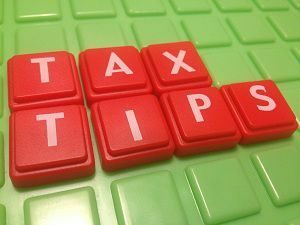 If you like collecting a rent check every month, you are going to love the tax deductions available to you as a Omaha rental property owner. As the leader in property management, Real Property Management Heartland has put together a list of rental property tax deductions that are not so obvious and are often overlooked by landlords. Taking these deductions could be the difference between you turning a profit on the rental property and losing money. Make sure to double check new and latest tax news and laws. This is one area that Omaha property managers need to be careful in, as the IRS classifies repairs and improvements as different categories. Repairs are defined as anything that keeps the property in good working order-such as replacing a broken window or fixing a leaky faucet. However, if you instead choose to replace all windows with double paned or energy efficient glass, this is an improvement that will extend the life of the property over the years. While the costs of repairs are deductible, the costs associated with improvements must instead be depreciated. If you have questions about the rental property tax deductions available to you, feel free to give Real Property Management Heartland a call, and we will be happy to assist you!